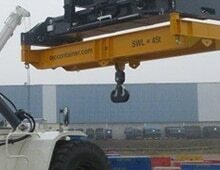 We have a huge range of container handling equipment and lifting attachments. 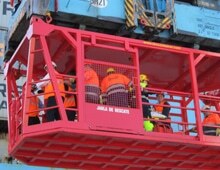 Whether you require equipment for port operations, heavy industry or manufacturing, we’re sure to have the right piece of equipment for the job. Most of our products are fully customisable, meaning you get the perfect fit for your needs. 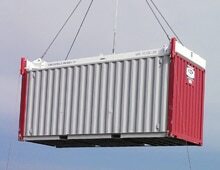 TEC Container’s large range of attachments for reachstackers includes multipurpose hooks and coil handlers. 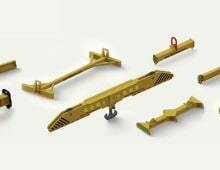 Our attachments for forklifts include multipurpose hooks, special forks and coil handlers. TEC Container’s range of spreaders includes rotary, centre of gravity centraliser, I shape and demountable type spreaders. Find the perfect Spreader Beam or Lifting Beam to suit your lifting application. Length, SWL, lifting points and additions such as chains and hooks are customisable for most models. 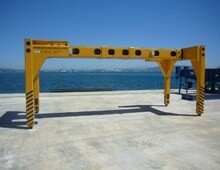 We’ve developed a wide range of overheight frames including fully and semi automatic, manual and universal models. 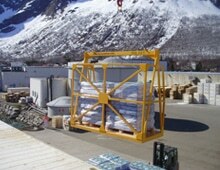 We offer a selection of personnel safety cages including under spreader, under hook and telescopic gondola types. 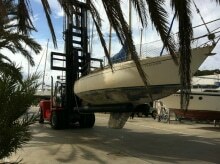 You can find a range of other lifting solutions including pallet and box lifting, car and truck lifting and lashing. For more information or to request a quote, click below.